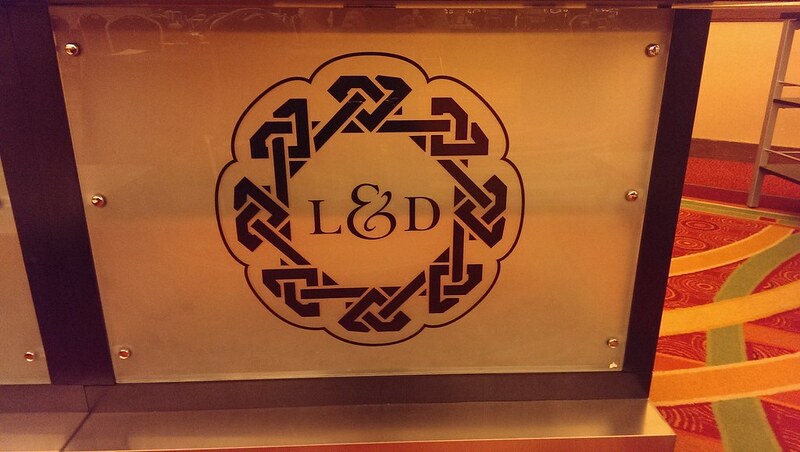 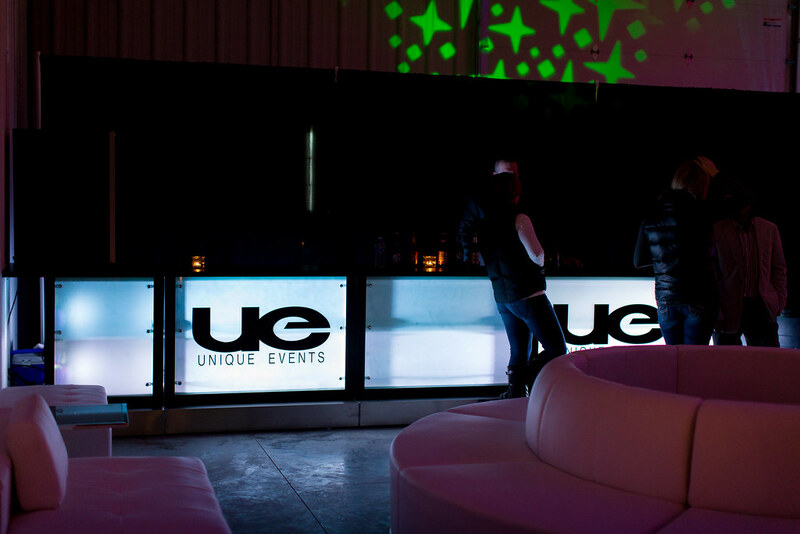 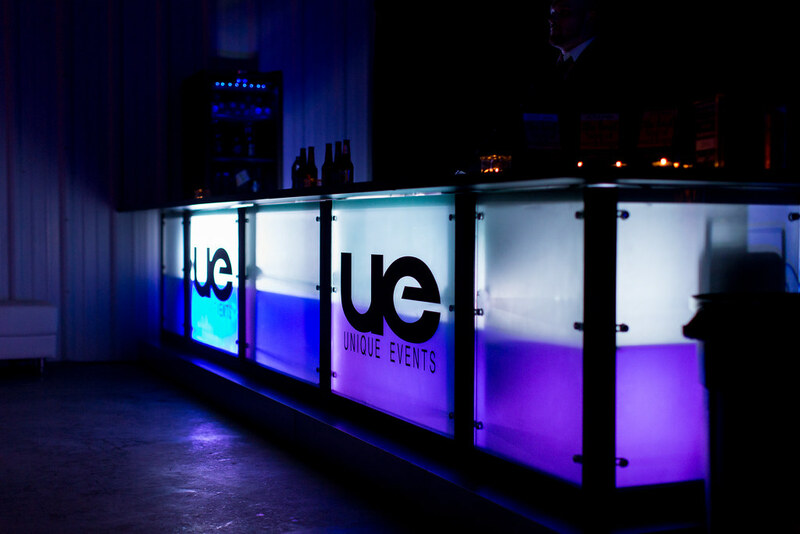 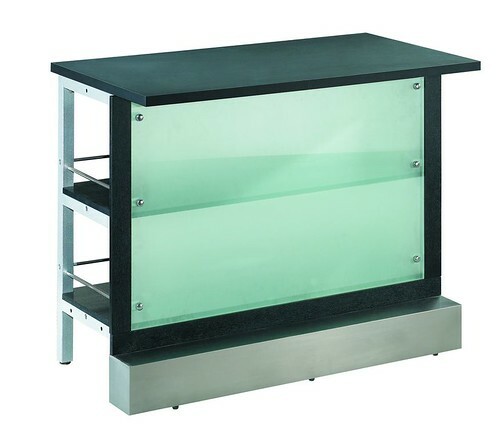 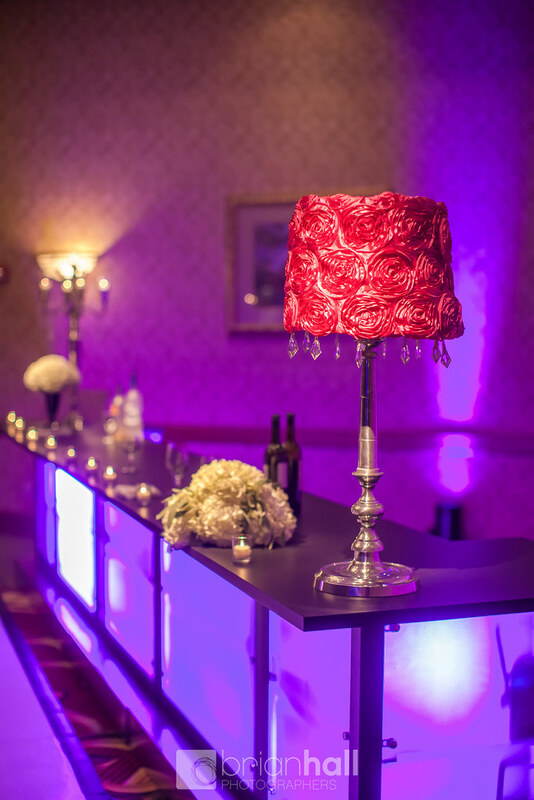 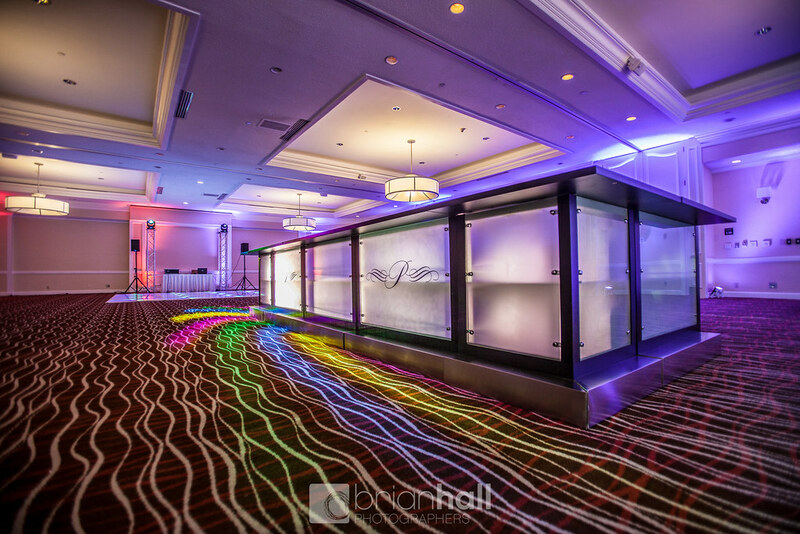 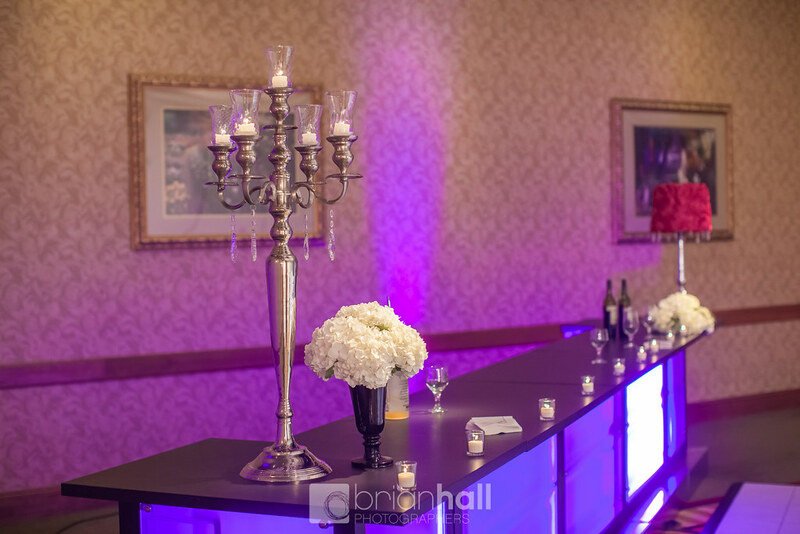 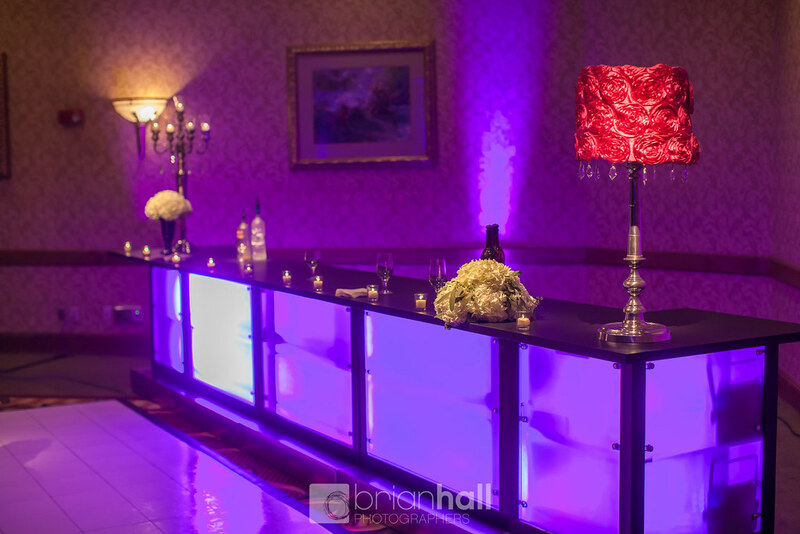 There are few items more attention grabbing that you can add to your event than a Custom Lighted Bar! This custom bar was intended to give the feel of an up-scale, big city bar. 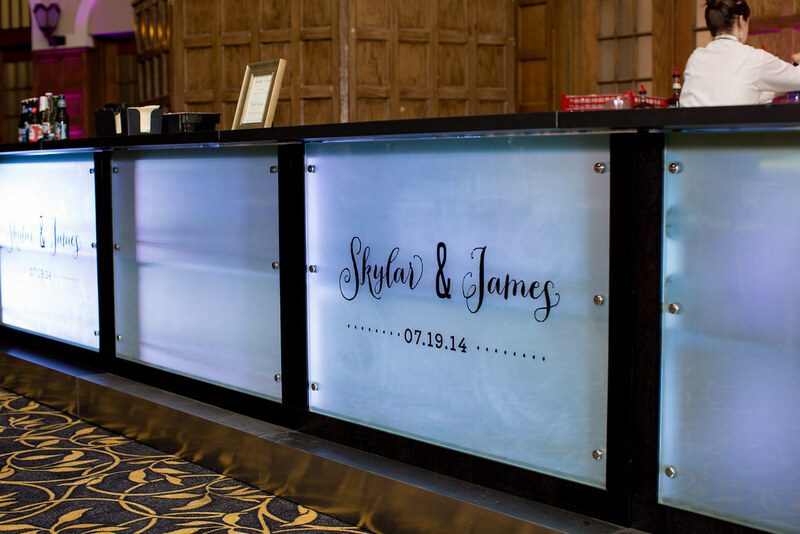 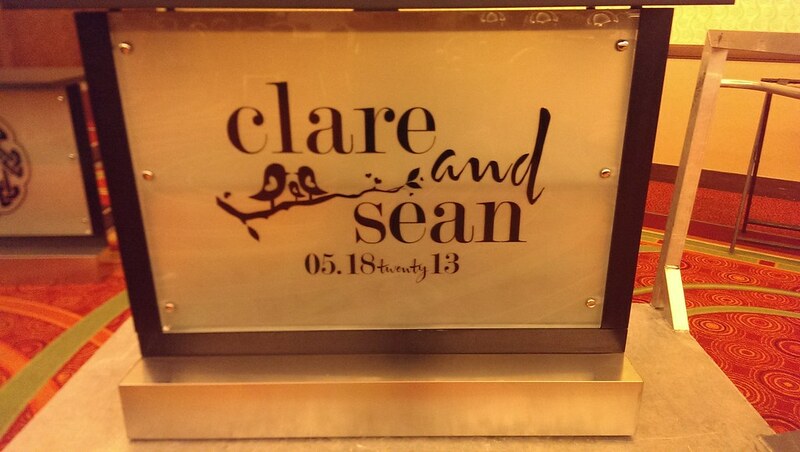 All black to go with any decor and frosted glass front panels that can be customized to your event with vinyl designs, names, logos, etc. The glass can also be lit various ways. 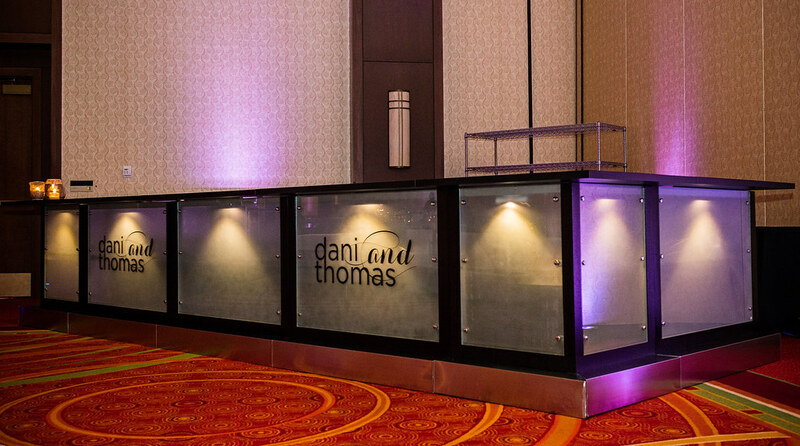 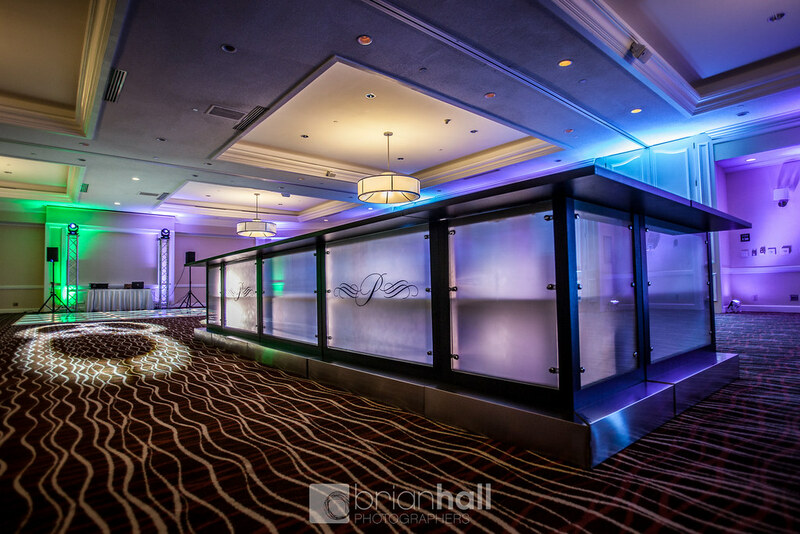 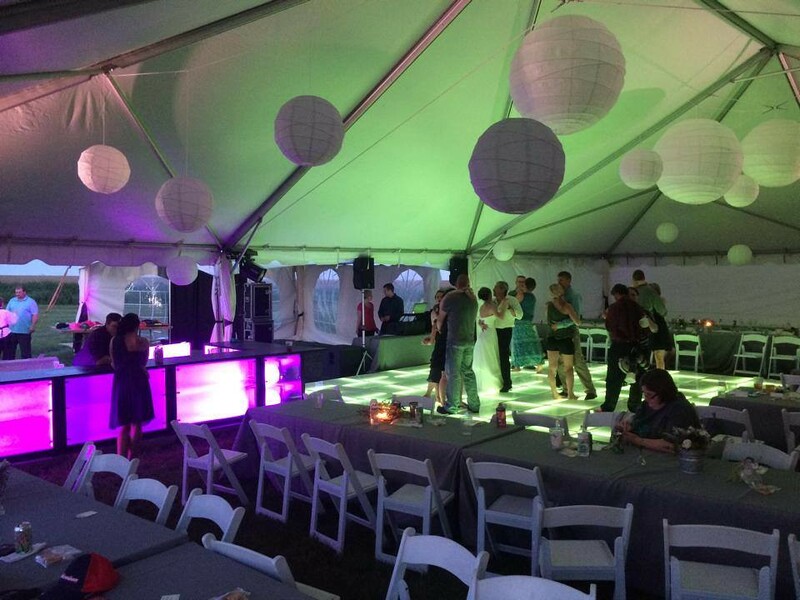 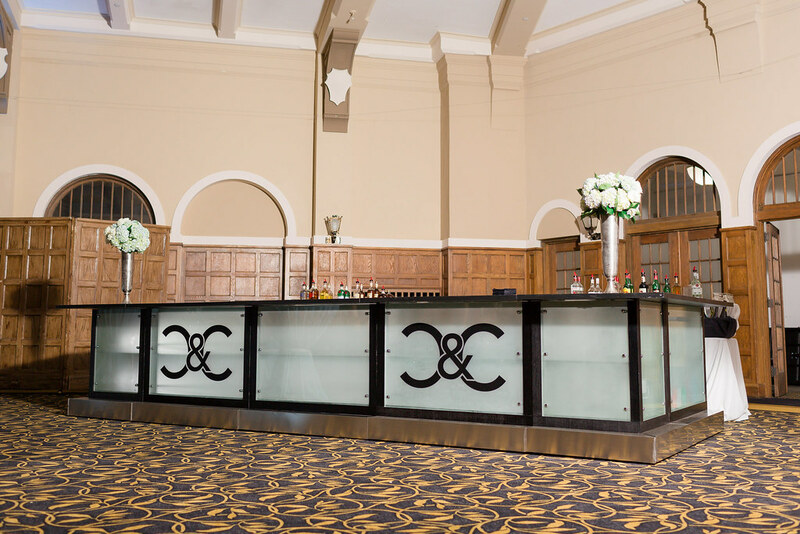 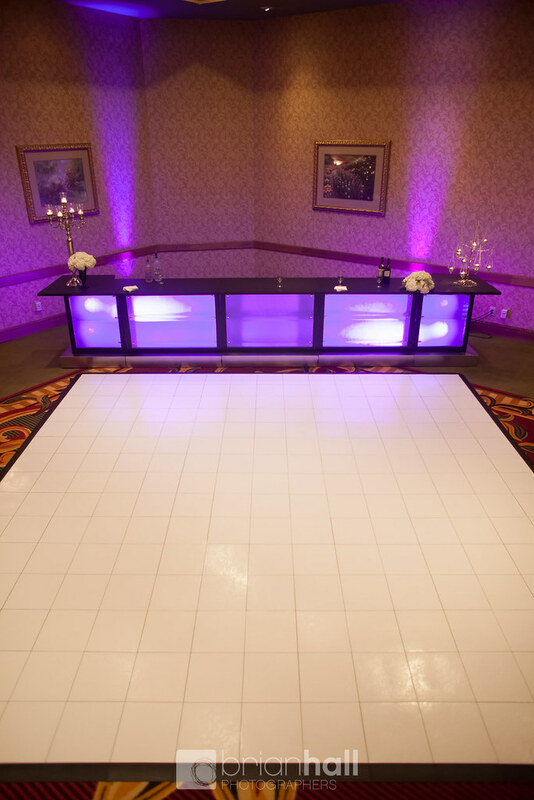 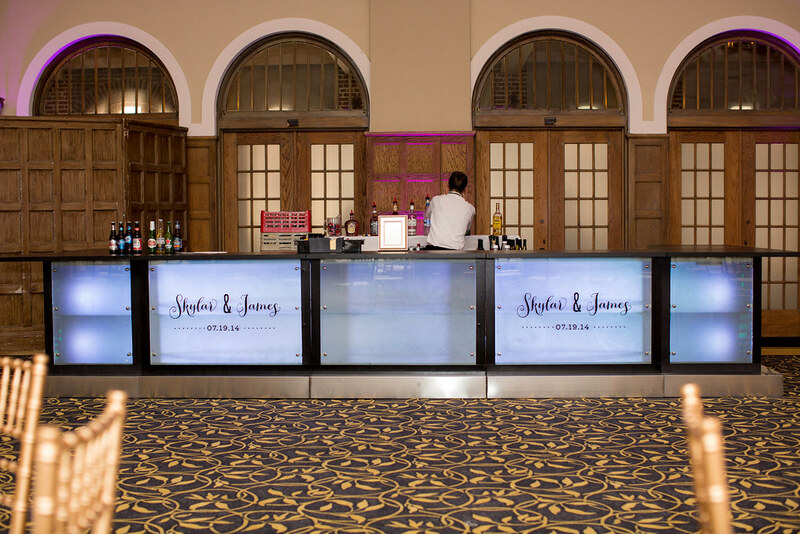 From a formal all-white light to color changing effect lights this Custom Bar will give your event that extra bit of “Cool!” you were looking for! 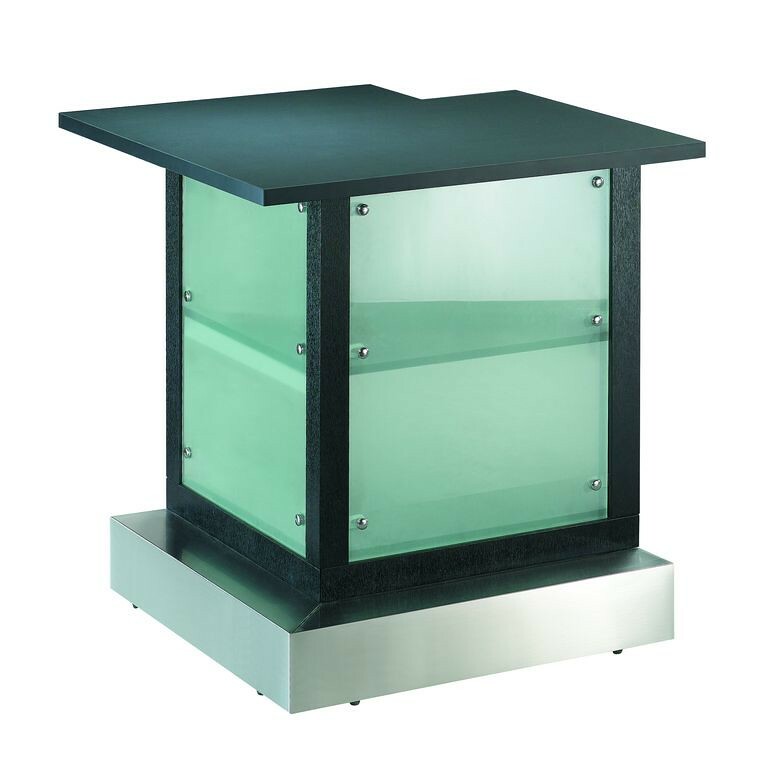 Because of it’s modular design the Custom Bar can be laid out various was. Whether it is arranged as one large “U”, two smaller facings, or maybe one long, single facing the impact is instant! 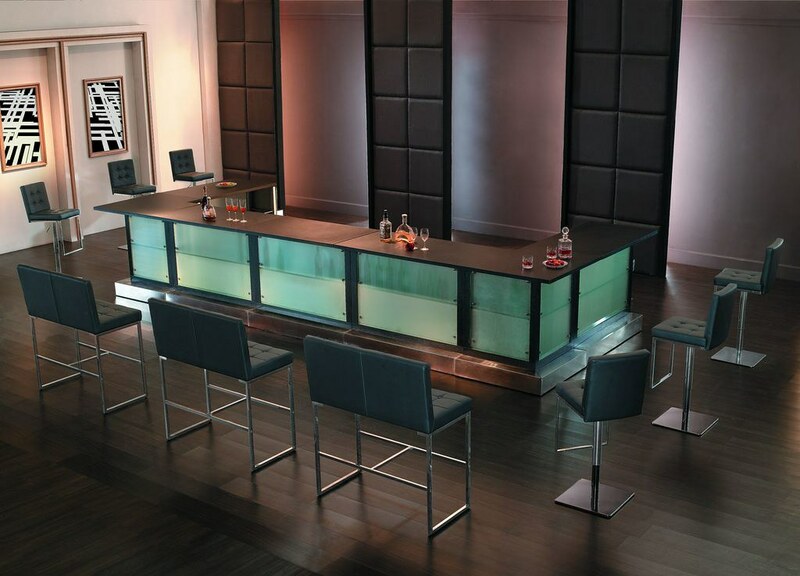 Pair the bar setup with one of our Lounge Areas for an ultra-hip, ultra sleek cocktail experience!